The editors and authors of this Festschrift honour a colleague whose academic work has gained international reputation and standing. Working from the tradition of the Leipzig School of Nordic Studies, Rolf Heller's particular specialism was the Icelandic family sagas. 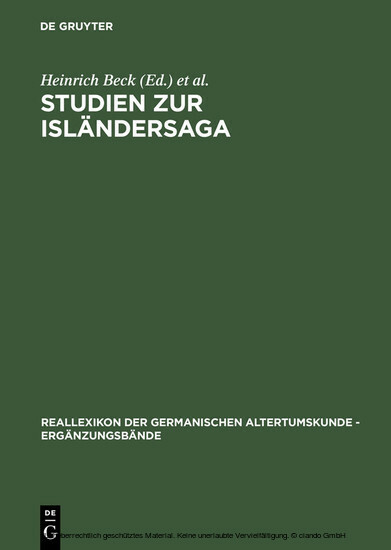 This topic is taken up by the 19 contributors from the USA, England, Iceland, Scandinavia and the German-speaking countries, who present a broad spectrum of present-day research into the sagas. The volume is completed with a bibliography of Rolf Heller's writings.